This doesn't in any way commit you to making a purchase. 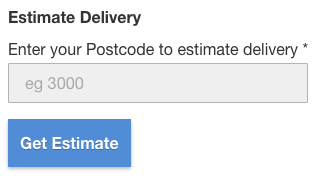 Delivery costs are set by our delivery partners and vary according to item and the location of dispatch. We often have free shipping promotions and we encourage you to subscribe to our online newsletter to stay up to date. You can do so by entering your name and email at the bottom of this page. What should I factor in when buying a Kogan TV?